Kalan or "Kurukku Kalan" is mainly prepared on the traditional occasion of Kerala Onam Sadhya. It is prepared with raw banana and yam. Most of the Sadhya recipes are prepared with a base gravy of coconut and yogurt paste. Kalan is also one among them. 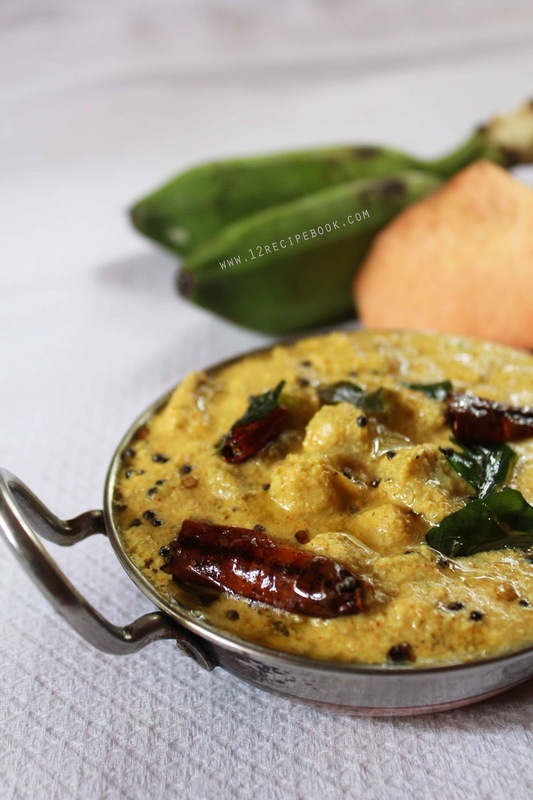 Try this healthy side dish and enjoy with rice. 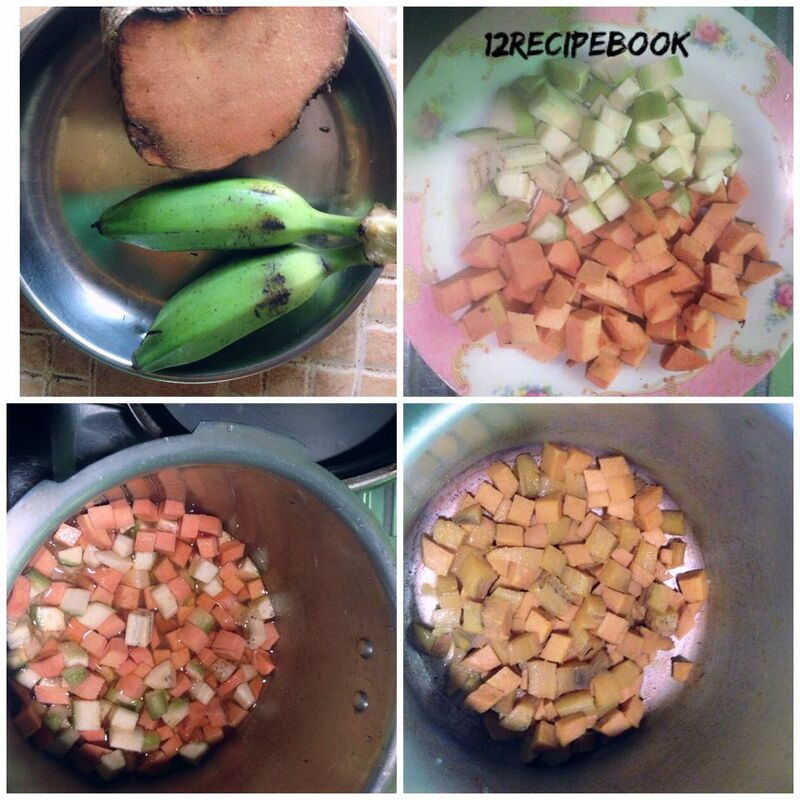 Peel the skin of raw banana and yam; wash and chop them in to small cubes. Add it in to pressure cooker along with turmeric powder salt and enough water to cook. Pressure cook on high flame for two whistles. Open the lid after releasing the pressure. Mean while in a blender add grated coconut, green chilly, cumin seeds and salt. Add little water and make a course paste out of it. Add this paste in to pressure cooker and mix well. Add chilly powder and pepper powder. Cook on low flame for 4-6 minutes. 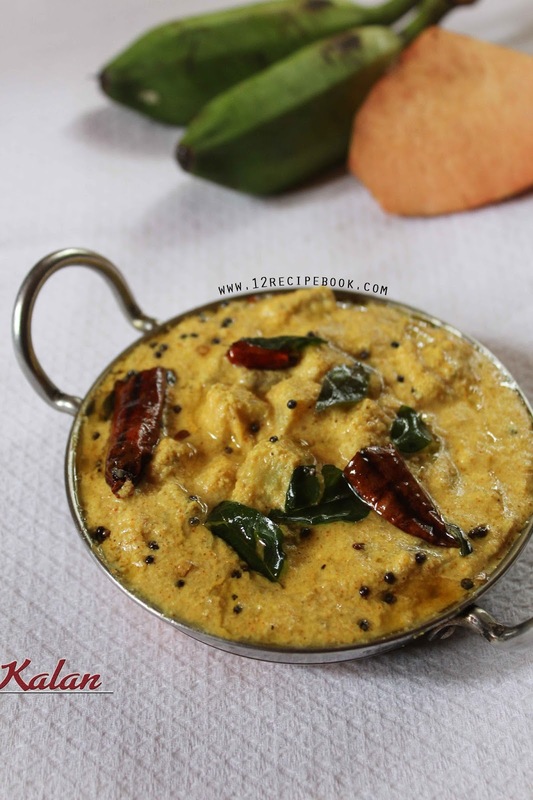 After that add; beaten curd and mix well. 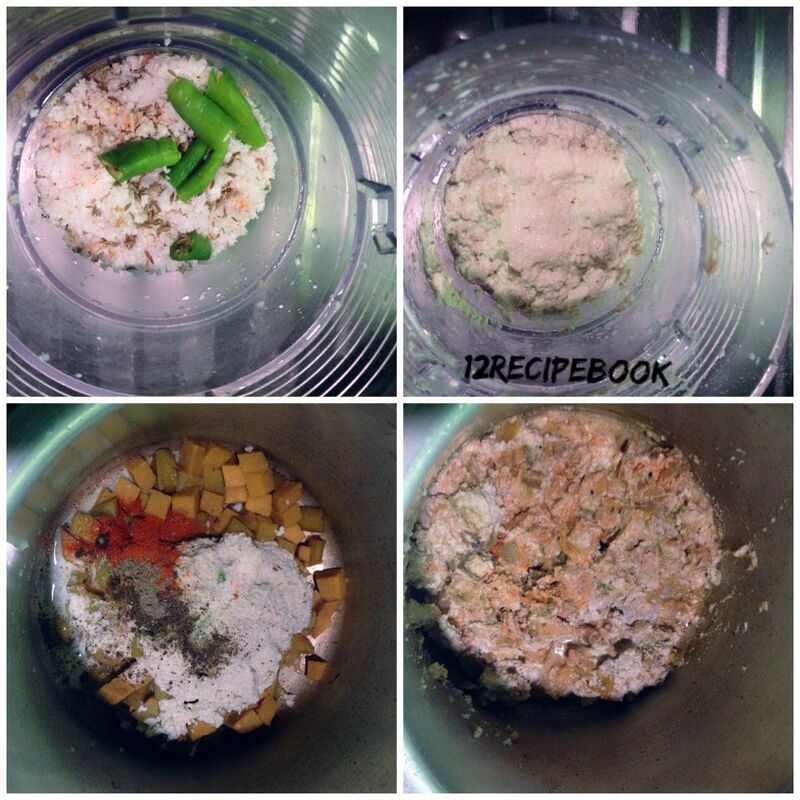 Cook until reaches the desired thick consistency. Stir well to avoid curdling. Switch off the flame and do seasoning on top. 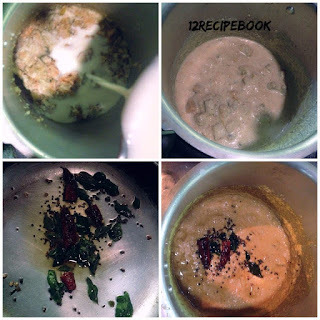 Heat a small pan with coconut oil; splutter mustard seeds and fenugreek seeds. Pour it over the curry and mix well before serving.